Making fear-based decisions for your company might be habitual but they don’t feel good. If you came home one night excited to sit in your favorite chair and watch your favorite TV show only to find that your spouse switched your chair with a different – albeit better chair – and moved the TV to a different – but optimal – spot, you’d probably throw a small fit and move everything back to its original spot. Even if the new chair was better designed for your body and the TV’s new position was geared for optimal viewing pleasure, you would fight these evolutions to your comfort. The majority of us are not fond of change. It requires effort, stepping outside of our comfort zone, and establishing new habits … and who wants to change their habits? That’s the reason they’re habits: they’re comfortable. However…making fear-based decisions for your company might be habitual but they don’t feel good. Somewhere in the back of your mind you know there’s a better way but the fear overpowers the curiosity. How a leader deals with change determines his/her success, both personally and professionally. This in fact goes for all of us, no matter our job title. Change is perhaps the only constant in life so the better-suited we are at navigating it the happier, successful, more resilient, and content we’ll be in our lives. Easier said than done. If we’re not inclined to embrace change, how do we deal with our resistance to it? It all comes down to your perspective and how you frame it. Framing is everything! Do you frame change as a threat or an opportunity? In the article, the authors posit that companies often fail because their preoccupation with satisfying today’s customer needs causes them to pay too little attention to developing what the customer will need tomorrow. The authors define two types of technology: sustaining and disruptive. That may work for the short haul but not forever. With disruptive technology, a term first coined by Clayton Christensen in his 1997 book, The Innovator’s Dilemma, a company pursues a technological innovation, product, or service that eventually renders the existing dominant technology or product obsolete. According to Clark Gilbert, organizational leaders who frame change as a threat invest too many valuable resources adding bells and whistles. Those who frame it as a golden opportunity invest their resources in designing a sports car that operates via mind control (for example). You want to frame change as an opportunity. Challenge your biases and challenge your team’s biases. Make a point of gathering all decision-makers in a room to A) define the collective status quo of the company or team; B) determine what the benefits/limitations of the status quo; and C) what could be gained by rocking the boat? Simply guiding yourself and your people through this process will shake up people’s minds, get them thinking in a forward direction, and loosen the shackles of the status quo. Slowly but surely the power of the group begins to counteract the cognitive biases of both individuals and the team. Commit to stepping outside your comfort zone. You can start with baby steps. Take a new route to work. Eat something different for lunch. Watch a new TV show. I’ve argued a lot for routinizing to make less choices so that you keep your willpower intact, and I still believe that, so I’m not suggesting making changes to your morning routine per se, but here and there, when you can, try out something new. The mere attempt is a way to acquaint yourself with life outside your comfort zone. 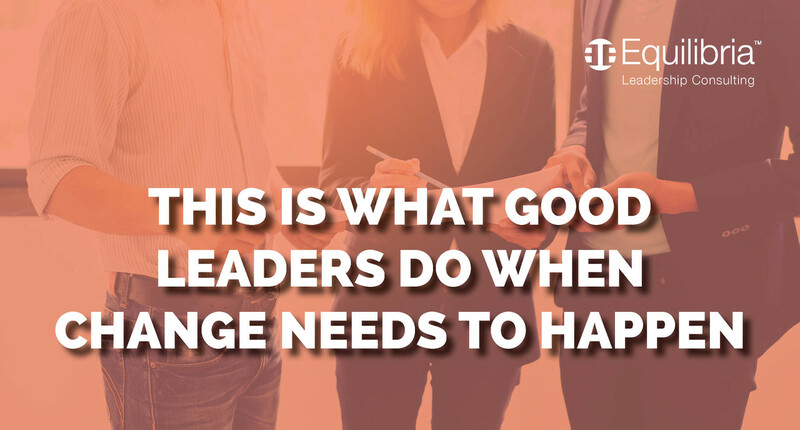 When you are then faced with having to step outside your comfort zone in a leadership capacity, it won’t feel quite as uncomfortable, strange, and foreign. If you want to read about a great example of stepping outside of your comfort zone I recommend the book, Living with a Seal, by Jesse Itzler, who hired a Navy Seal to live with him for 30 days and train him any which way the Seal wanted. I’m not necessarily recommending having a Navy Seal come live with you, but the act of inviting something completely different into your life is one way to make friends with life outside your comfort zone. Learn from others’ failures and successes. Kodak didn’t release their digital camera before Sony. Blockbuster chose not to partner with Netflix. Borders Books sunk more money into their brick and mortar stores rather than reinvent themselves online. AOL sticking to their outdated internet browser model when the same services were available elsewhere for free. Amazon has continued to morph into – and envelop – industries from film, food, and every nook and cranny of retail. They are a pillar of embracing change, and also a tad frightening. The New York Times has done a great job with growing its online presence in an age of declining print journalism. You will not be able to avoid change in your personal or professional life. The molecular structure of your body has already changed since you began reading this blog. It didn’t take much effort for you to withstand that particular change, but the point is change is the one constant in our universe, so it’s imperative we embrace it rather than run from it, as you will only be running towards change in a new form anyway. Leaders who can embrace change, surf it like a wave, will be able to more adeptly ride out any storms that pass through. It doesn’t mean you have to be a master at predicting or handling change, it simply means when change comes to town you want to say hello, have it take a seat, and see what it wants.